As February was LGBT month, here at UnCOVered we visited the LGBT event in TheHub and have a round-up of the day. Every year in February, the UK dedicates a month to the awareness and celebration of LGBT history and community. 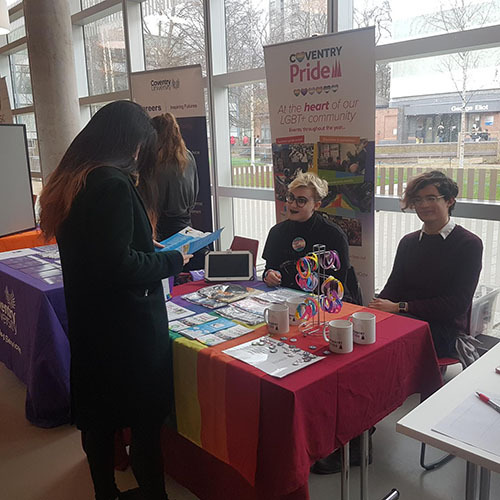 Our very own CUSU collaborated with Coventry Pride to encourage students to applaud equality and diversity in our city and around the world. We caught up with the guys at Coventry Pride to find out a little more about what was taking place at the event on Tuesday. 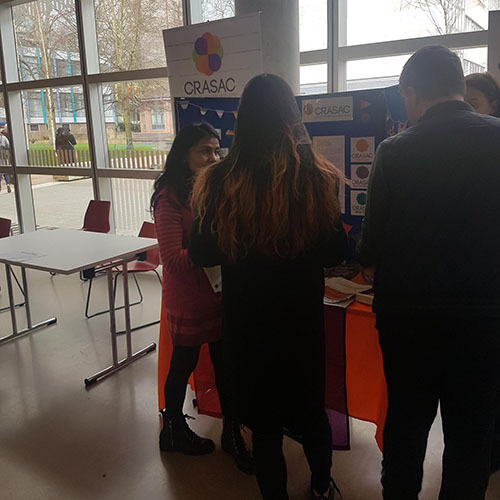 They talked about spreading awareness about LGBT, the key issues that affect LGBTQIA+ students around the UK and at Coventry University, being proud of who you are in a welcoming city and answering any questions you have. Did you know that our new Science and Health Building actually has gender-neutral toilets to allow transgender and non-binary students and staff to feel more comfortable? The LGBTQIA+ society is a welcoming society who provide a safe space for all LGBTQIA+ students and their allies, arrange outings and social events to help students foster friendships and improve their quality of life at University, arrange fundraising events and awareness events for LGBTQIA+ people and charities and lots more!